If you teach histology at your university/college then your library (or Department/School) can request access for faculty staff and all students in your histology courses for a very small license fee. In most cases University Departments/Schools deduct this small license fee from their allocated library acquisitions budget. Professor Geoffrey Meyer is in the School of Anatomy, Physiology and Human Biology, at the University of Western Australia (UWA). He has received a number of teaching awards including a UWA Excellence in Innovation in Teaching Award, an International Excellence in Innovation in Teaching, Learning and Technology Award and was a 1999 Australian University Teaching Award Winner. 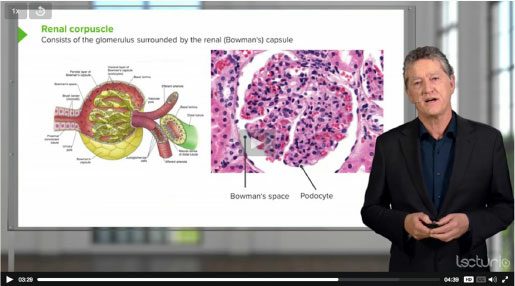 To complement your understanding of Histology using Meyer's Histology you may also wish to view Histology video lectures by Professor Geoffrey Meyer. Geoff Meyer retired from the School of Anatomy, Human Biology and Physiology University of Western Australia (UWA) in 2016 after being the course coordinator/chairman and teaching all Histology courses for Medical, Dental, Biomedical Sciences and Allied Health degree programmes for more than 38 years. He is currently a Senior Honorary Research Fellow in the School of Human Sciences at UWA (School was renamed in 2017), where he still continues to teach Histology. He also teaches Musculoskeletal Human Anatomy to Chiropractic students at Murdoch University. Over many years he has received excellent teaching evaluations for students in all his histology courses. Your unit was consistently excellent on all six questions of the SURF survey, an exceptional achievement. I would like to congratulate you for this outstanding result and thank you and your team of supporters for a wonderful contribution to learning and teaching and the student experience at UWA. 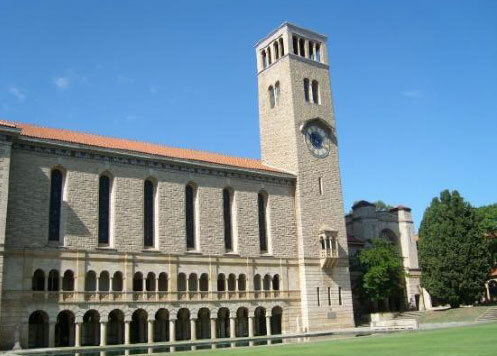 Professor Meyer has received a number of teaching awards including a UWA Excellence in Innovation in Teaching Award, an International Excellence in Innovation in Teaching, Learning and Technology Award and was a 1999 Australian University Teaching Award Winner. In 2006, and again in 2014, he received UWA Teaching Fellowships. Professor Meyer was awarded a prestigious ALTC (Australian Learning and Teaching Council) Fellowship in 2009. Geoff Meyer was recognised as a “World Class Professor” in 2015 when asked to create Histology Video Lectures as part of the “Lecturio Medical Videos” (www.lecturio.com). Professor Meyer is the Coordinator for Histology on the Federative International Program for Anatomical Terminologies (FIPAT) of the International Federation of Associations of Anatomists (IFAA). 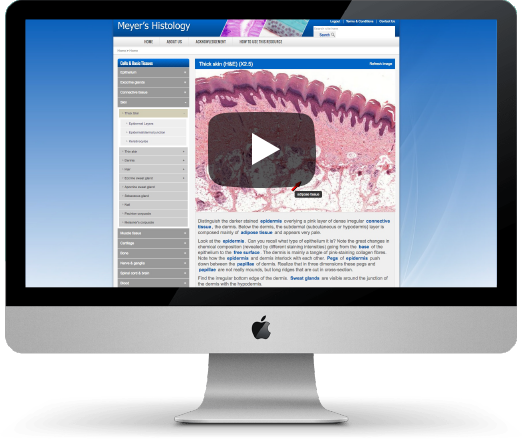 He is the creator of the award-winning Meyer’s Histology (www.histology-online.com) and in collaboration with Professors John Campbell and Michael Hall has provided an extensive collection of learning and teaching resources to deliver a histology course completely online. Geoff Meyer continues his research activities focussing on developing innovative, computer-aided, learning and teaching tools. 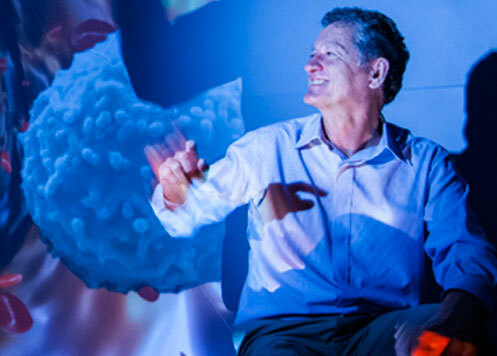 Michael Hall began his career at the University of California at Los Angeles (UCLA) after earning his degree in Biochemistry at the University of Natal in South Africa. He earned his doctor of philosophy (PhD) degree in Physiological Chemistry at UCLA. He continued at the University first as an Assistant Research Biological Chemist, subsequently as an Assistant Professor of Ophthalmology and Biochemistry, and later as Professor of Ophthalmology and Biochemistry. Professor Hall was a founding member of the Jules Stein Eye Institute, and served as Associate Director of the Institute for several years. He also chaired or co-chaired numerous research, fellowship training and educational program committees during his many years at the Institute. Professor Hall’s research has focused on retinal biochemistry, retinal degeneration, cellular interaction and metabolism of retinal pigment epithelium, authoring many papers on these topics. His illustrious career has taken him to various regions of the world; he has been a visiting fellow, professor and lecturer in England, South Africa and Australia. He is currently a professor emeritus at UCLA and an adjunct professor at the University of Western Australia. John Campbell received his Ph.D. from Harvard University. Following postdoctoral studies at the Institut Pasteur, Paris and the Commonwealth Scientific and Industrial Research Organization (CSIRO) in Canberra, Australia, Professor Campbell joined the faculty of the Department of Anatomy of the School of Medicine at UCLA. He has served as a visiting scientist and professor at the Division of Plant Industry, CSIRO, the Research School of Biological Sciences at the Australian National University, the Mathematics Institute of Oxford University, and was the first Robert Wesson Scholar on Scientific Philosophy and Public Policy at the Hoover Institute. He is currently an elected Fellow of the American Academy of Sciences. Professor Campbell has made an enormous contribution to the education of dental students during his career at UCLA. He is currently a professor emeritus at UCLA and an adjunct professor at the University of Western Australia. How long is my subscription for? Subscription is for 12 months from the date of your registration. Does Meyer’s Histology give me access to a histology curriculum typical of a histology course at a Medical/Dental school etc.? Yes it does, the topics provided in Meyer’s histology are listed in this link of the “core syllabus”. How much is the University subscription (or license fee) for access by students at my University? This depends on the number of students needing access but it is not a major expense for any university/institution or library i.e. normally only about $800 and less than $1500. Can all staff also access the resource if my University subscribes? Yes of course – all staff are provided access and are welcome to make suggestions for updating of content etc. Or fill in the online form and we will contact you very promptly. © 2019 Copyright Histology Online Pty Ltd. All rights reserved. enter your name and email address to get an overview. Exclusive to University Students and Universities. Register and get 50% OFF your annual subscription. To Sign Up to Meyer's Histology fill in your details below and click 'Register'. You will be taken to our Secure Payment Page to activate your account. To Upgrade your account to full access fill in your details below and click 'Upgrade'. You will be taken to our Secure Payment Page to activate your account.